Have you heard the good news? 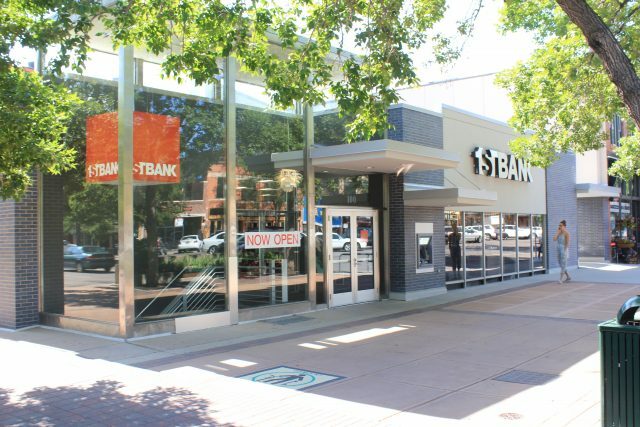 FirstBank is growing in Northern Colorado. We recently opened a new location at 100 S. College Avenue, on the corner of Mountain and College in Fort Collins. It represents our fourth Fort Collins location, and the truth is, we’re pretty stoked about it. In fact, the new location has historical significance much to our Union Station branch. It’s been occupied by a bank since 1904 and was rebuilt in 1962 as a mid-century modern structure. We paid careful attention during the renovation process to ensure the building’s mid-century modern historical features remained intact. We also renovated its existing community room, which we’re making available to organizations in the area. We have a lot of fun things planned for the new branch, including special events and amenities for customers. Not to mention, we’re just excited to continue our growth in Fort Collins, especially in Old Town which has proven to be an epicenter for entrepreneurs and growing businesses like Otterbox. It’s also a place that provides a lot of history and character to our beautiful state. So please come, check out our newest location and meet several new members to the FirstBank team. We’d love to have you!